It’s time to conclude the play-test of the Wilson Ultra Tour. I can already say it is one of the best new racquets I’ve played in the last five years. I’ve written quite a bit about the Wilson Ultra Tour already (Wilson Ultra Tour First Impressions, the Wilson Ultra line and about the Wilson Ultra 100 CV) so there’s no point in repeating myself. I think Wilson has waited too long to release a frame that is so ripe for customization that a packet of lead tape and instructions should be included in the box! But I’m happy it’s here. The point I want to make early on is that there’s no point in playing the Wilson Ultra Tour without adding lead to the head, because you won’t be able to put away balls easily enough or block back heavy shots. But with some strips of lead tape at 3 and 9 o’clock and a leather grip (if you like leather grips), you’ll have a formidable weapon in your hands. Here’s a video review of the Wilson Ultra Tour. Should Wilson have added some extra weight to it beforehand which would have required less work for the player? Possibly. I’m currently trying the HEAD Liquidmetal Radical Tour, a more than ten year old racquet which comes in at a rather hefty 325 grams unstrung and 330-ish swing weight. It plays really nice, but I could see how it is not for everybody. 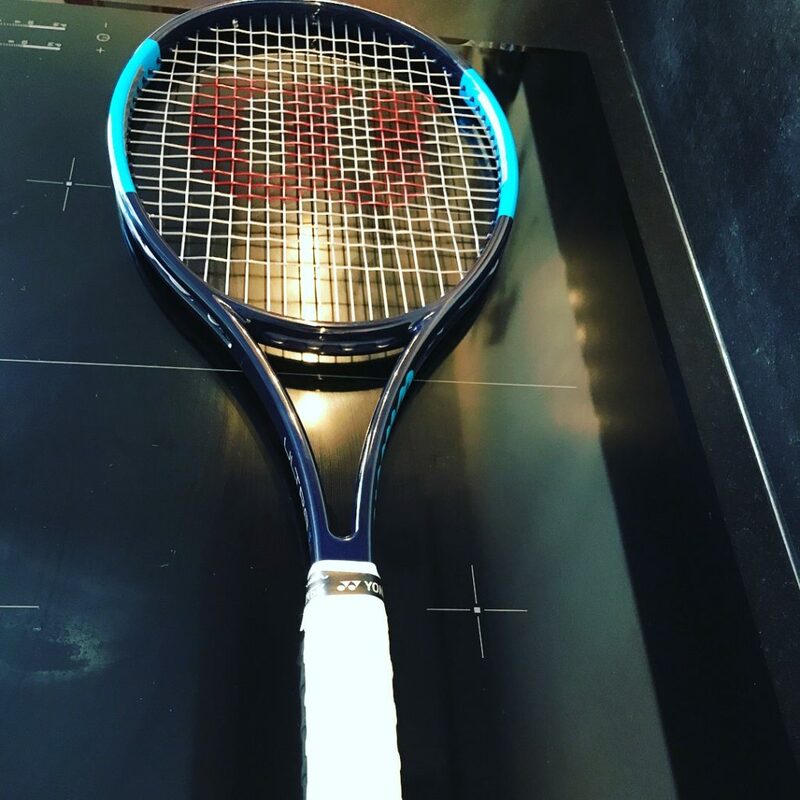 With the Wilson Ultra Tour coming in at 305 grams, Wilson gives the player the possibility to choose how much weight they want to put on the racquet. Customizing a racquet is a process, you add some weight, test, add or reduce, move weight around, test again, try various strings, and hopefully you reach a conclusion. I did this for a while with the Wilson Ultra Tour and ended up at 345 grams with a balance of about 7 pts head light. This is of course highly personal and that’s why you have to commend Wilson for giving the player the option to find his or her ideal weight and balance. When it comes to strings, I didn’t find the Wilson Ultra Tour particularly string sensitive. It plays well with both multifilament and poly strings. If you got the dough and like a premium hitting experience, why not through in a set of Wilson’s Champions Choice ? I usually end up with the Solinco Hyper-G , but that’s because it’s my go-to string of choice. I usually don’t like Luxilon Alu Power that much, but in the Wilson Ultra Tour it played just fine! If Wilson really wanted to raise their game to the “tour level” I think they should have offered the Wilson Ultra Tour in two string patterns: 16×19 and 18×20. Sometimes I feel like the 18×20 string bed doesn’t give me enough trajectory and makes me play with less margins than the more open pattern, but that is of course a highly personal thing. As I wrote in previous posts, I’ve been playing the Wilson Ultra Tour and the Angell TC 97 Custom 18×20 head-to-head and it’s extremely difficult for me to make up my mind on which racquet to buy. What I like with Angell is that I can get a HEAD-shape grip which for some reason helps my one-handed backhand. I also might for the 16×19 string pattern to get that little bit of extra spin on the ball. But like I said, they’re both close calls and I’ll happily take either racquet out on court. The Wilson Ultra Tour is a racquet for the semi-advanced to advanced player who’s open to playing around with some lead tape to find the ideal specs. 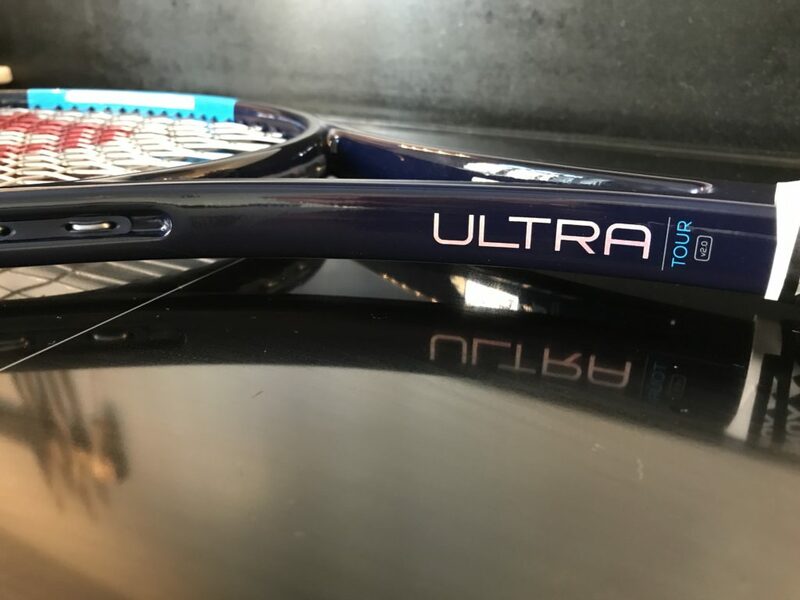 If you like a racquet where you can really feel the ball on the strings, that doesn’t trouble your arm and doesn’t give you much for free but rewards what you put in to it, the Wilson Ultra Tour is very likely a great option for you. Composition2 Graphite (PS. No tech gimmicks! DS! DS. Would you get the Wilson Ultra Tour? If you do, let us know what you think of it in the comments below! Thanks for your review, you saved me 225 euros as I already have and love the Angell TC97, if anything I would like to have something diffrent in my bag beside it. So what is your top 3 now ? Any recommendations ? Good to hear! Yes, you will be happy with the Angell. * Babolat Pure Strike 16×19 – if you don’t have sensitive elbows and string with a softer poly, this racquet is a lot of fun. * Prince Phantom 100 – Ultra soft, mega spin, unique feel, thin beam promotes fast swing speeds. * HEAD Graphene Radical Pro – Heard many good things about this modern racquet. Thank You for your recommendations, the Phantom looks very interesting indeed, for the others I won’t venture above 64-65 RA. For now I just pick up some IG Radicals Pro to tinker with. I saw you used one also, can you share your thoughts on strings and the setup that worked for you ? You said the Ultra Tour “doesn’t give you much for free but rewards what you put in to it” — what other racquets would you say have that same character? Hope this helps. There are a lot of old-school racquets with similar characteristics, but I picked ones you’d find in the store today. Just out of curiosity, what do you think are the all-time best racquets in this category? The scenario is I’m a 6’4″ whippet-framed intermediate who learned to play with an ancient Wilson Ultra FPK 95. I love the amount of control I have with the racquet and how it forces me to mind my technique. Alas, that racquet has seen its better days. In the vain of how you say it’s better to stick with a low-power racquet in order to improve through technique, what racquets would you recommend considering? Still the same ones? Would you add anything to the list? I believe that getting power for free can be detrimental in a player’s development. I feel it makes more sense to teach a player how to use your body to maximize power and spin, instead of using your body to reign in the power of a stiff racquet. I completely understand the allure of a powerful and spin-friendly racquet however. Yesterday I hit with the new HEAD Extreme Touch MP strung with a co-poly string and it was a blast to try swing as hard as I could to maximize the spin and get the ball to dip inside the lines just in time. My issue today is that my arm kind of “vibrates” and I felt some pain there last night (and I’m usually not that arm-sensitive). Also, when I look at some of the footage from the set I played, my technique looked contrived and unnatural and although some shots were spectacular, I simply wasn’t consistent with this kind of light-weight and stiff frame. I’ve used most popular 300g+ frames released in recent years and I definitely feel that low-powered and heavier racquets fit my game better than what is typically labelled as a tweener. I think the ones I listed are the best current ones that come to mind. You wouldn’t go wrong either with an Angell TC 97 (or 95), a Wilson Ultra Tour or a Prince Textreme Tour 95 for example. One clarification question: Do you mean the Angell TC97 Pro or Tour? Head Pro tour 630 (pt57a) or Wilson Ultra Tour? That’s the million dollar question! I’m not a hundred percent sure. The PT57A is a great racquet, but doesn’t automatically make you into a great player, hence I think it’s often a little over-rated (blasphemy!). Wilson Ultra is also nice, not as great in its “pocketing” but more power. Would be interesting to hear other opinions on this topic! I recently concluded my demo of the Ultra Tour strung with all Solinco Tour Bite. I was impressed with how forgiving the racquet was while still having good touch. So nice on serves, overheads, and two-hand backhands. Agree with your review that it offers zero free power. I also think it is grossly overpriced considering it requires so much customization. I’d be tempted if a used one became available. Did you ever play with the Wilson K Six One 6.1 95? If so, what did you think? Is it the sort of low-power, plush player’s racket that we’re talking about? Can you compare vs Blade 98 18×20 (2015)? Sure! The Blade 98 is crisper and less flexible which means it’s more powerful, but also lacks that nice dwell-time on the string bed when you hit. Manoeuvrability are very close and both are perfect for some lead tape and leather grip. I enjoy both racquets, but feel the ball better with the Wilson Ultra Tour. If you want to hit a modern power game however, the Blade 98 might be a better choice. Two of the best Wilson racquets in recent years for sure! Is Ultra Tour a comfortable racket? Does she vibrate a lot? What is more comfortable and less than that, Ultra tour or K7? Yes, the Ultra Tour is comfortable. The K7 is even more comfortable than that, but it’s flexible feel might not be for everyone. And between the ultra tour and the K7, which one has the feel and comfort closest to the head PT57A? I think the K7 is more comfortable than the Ultra Tour, but the feel of the Ultra Tour is closer to the PT57A in my opinion. The K7 flexes more uniformly, the Ultra Tour has a pretty distinctive sweet spot, similar to the PT57A. Today I tested the ultra tour with 6 grams of lead and with the Weisscannon scorpion rope with 48 lbs. These changes made the racket more powerful without losing control and also greatly increased stability and comfort. I’m really very impressed with her level of control, my volleys and smash have improved a lot in level of control compared to tc95. The only thing that loses for tc95 is a matter of potentician (little difference) and spin (I am improving the technique). Hi, nice review, how many tension did use for your strings? How the UT should feel, If you only change the main grip with a leather one – be more maneuverable? Do you have to make extra adjustments with lead at the hoop or 2-10/3-9 o’clock? Also, what tension do you suggest with Solinco HyperG 17 (1.20) string? Is it basically identical to the WIlson H19 pro stock? I enjoy your site, keep up the good work! I’ve been playing with a Volkl Power Bridge 10 Mid for quite some time and it’s one of my favorites. I played with the Head Prestige Tour Mid before that and loved it as well, but as you know it was discontinued so I bought the Volkl to replace it. I like the flex and buttery soft feel of these racquets, but as I’m getting older I’m thinking I may need something a bit more forgiving and with perhaps a larger head size. I demoed a bunch of raquets recently and the ones I liked most were the Prince Phantom Pro 100 and the Yonex VCORE Pro 97 (330). The issue with the PPP100 was that it felt a bit unstable at times in the hoop, perhaps because of the large head at 100 sq in and the VCORE Pro 97 felt a little tinny, not as solid as my PB10 Mid. I haven’t tried this Ultra Tour yet and was wondering if you think it may hit and feel like the PB10 Mid with the right customization? If not, are there any other racquets you might recommend? Tennis Warehouse still sells the PB10 Mid and it’s on sale, so perhaps I just stick with my old faithful, but again, the head size is not forgiving. If you look at the specs on tennis warehouse it’s a very headlight stick and I suppose that’s one of the aspects I like about it as well. Softer on the arm and elbow is important to me as well though and the PB10 Mid is pretty comfy overall I think. I also hit with an extreme western forehand grip and like the 16X19 pattern on the PB 10Mid. Looking forward to hearing your feedback! Thank you! The Volkl PB 10 Mid is a great stick! If you would like to go up in head size but retain the feel you could look at the Donnay Hexacore Penta 97 in 16×19 (I just reviewed this racquet here: http://tennisnerd.net/gear/racquets/racquet-reviews/donnay-pro-one-penta-97-racquet-review/8580) It offers a similar feel to the PB 10 Mid in a larger head size package. You could also try the Wilson Ultra Tour 97 and add a leather grip and some tape to the head. Another racquet that works well and has a nice flexible feel is the Angell K7 Red. You would need to customize it up to your desired spec but you will get more forgiveness there. If you just can’t let go of the mids, there is the Prince 93P as well which is the same head size as the PB Mid but with a slightly larger sweet spot. Do you have any used Ultra Tour’s for sale? I bought the Ultra for the coming season. I have played the Tecnifibre TFlash 300 Last season but my ellbow and arm were so damaged the whole season so I must find a arm friendly racket. And now it is the Ultra. My stringer said the Yonex Monopreme could be great for this racket with 22/21 kg. Saturday first winter league match. I hope it will work. Yeah, the tFlash 300 is rather stiff. Hope you feel better with the Ultra. It does need some lead tape to play more stable and with a better swing weight though. Good luck! Can you compare prestige tour and ultra tour? I was about to buy the Ultra Tour 97 but looking at the playtests from TW, looks like the Clash 100 has all the good points of the Ultra Tour (comfort, control, touch) and on top of that has more power. 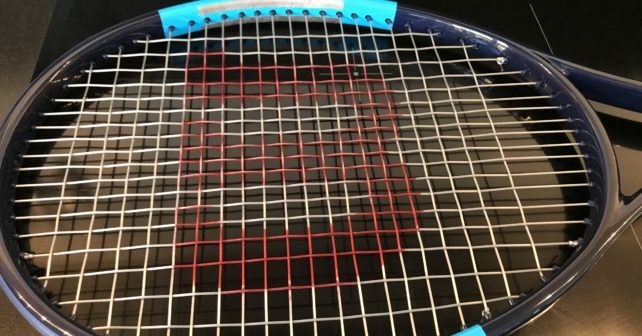 How would you compare both racquets as you tested both of them? I’ll stick to the Ultra Tour for now. Will eventually consider the Clash when the 98 frame will be released this summer.